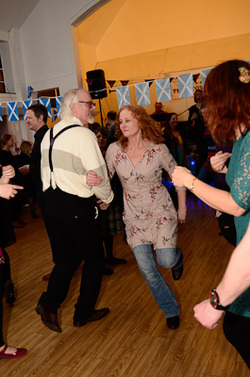 A fantastic night was had by everyone who attended the Burns Night Ceilidh on 26 January. Linda and Robyn organised the event, and the £500 raised will be used towards the development a sensory garden area in memory of Claire Tansley. The music was provided by the brilliant local band The Stowicks, who guided us all through our ceilidh paces and had everyone stripping the willow by the end of the evening. It was another fun collaborative FoSP event, with members baking shortbread and whiskey toffees, and generously donating raffle prizes.